I completely adhere to this commandment! Isn’t it so true that desserts hold a special place in our hearts and of course, palette, regardless of whether we like it or not. Last week, I was taken by surprise as I secured a ‘Top 3‘ winner place in the #SugarFreeDessertChallenge for my Dessert Recipe, ‘China Grass Pudding with nuts- Sugar Free Edition‘. 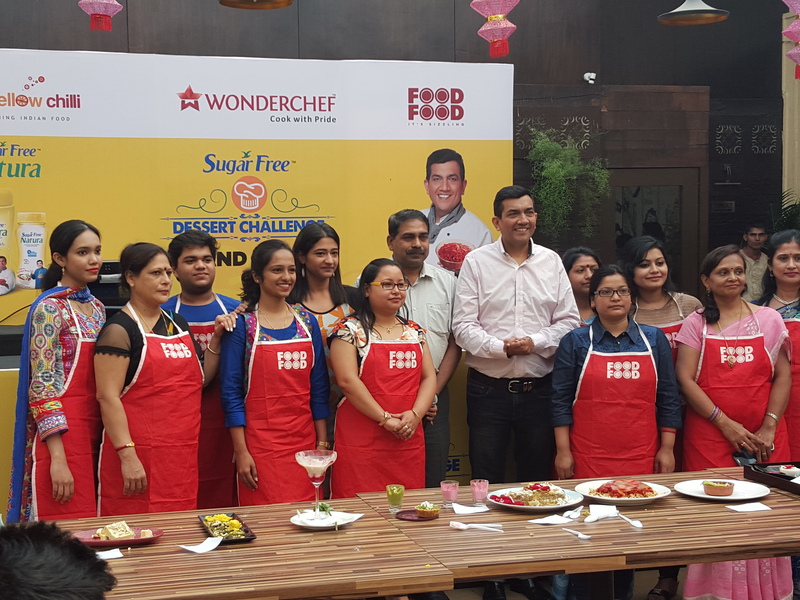 I was completely thrilled with the news, but also a little nervous, as the winning prize was a video shoot with the much-known Celebrity Chef Sanjeev Kapoor. He’s apparently the individual, who struggled, survived and shone the title, ‘chef’ for people who had interest in Food/Cooking and wish to pursue it as a career. Within 24 hours, I got a call from SK Team, confirming with me the details of the shoot and my availability. The shoot was to be held on 14th & 15th of December, 2015 and I got extremely nervous, as the dates were just 2 days far. I started to prepare for the coveted day and got busy. In the process, I didn’t devote much time and happiness to my birthday, which was on 13th. Anyway, such opportunities don’t come that easily. On 14th, I was the first one to arrive at the venue- Khana Khazana, Andheri. That time, the preparations were taking place and everything was calm. I saw the studio kitchen and got a little excited. After a while, other blogger friends and contestants from various cities arrived. I was thrilled to see the variety of dishes each one prepared for the challenge. Early afternoon, the shoot started. 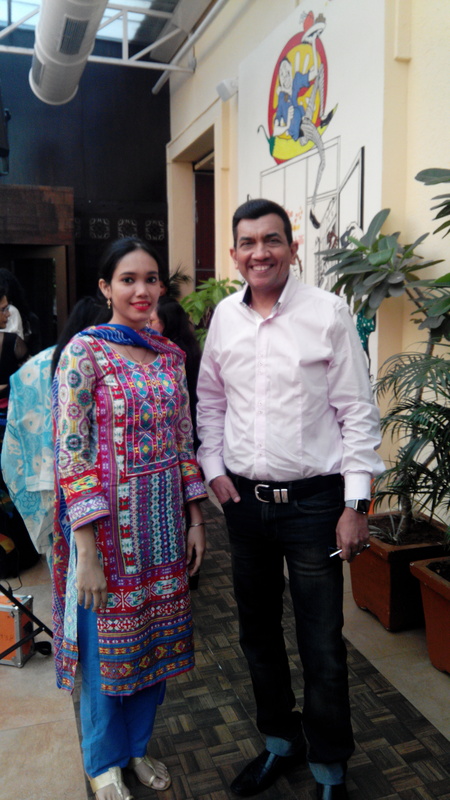 Chef Sanjeev Kapoor is a real humble person and always wears a smile on his face. He doesn’t own any air of pride or ignorance and is warm and welcoming. 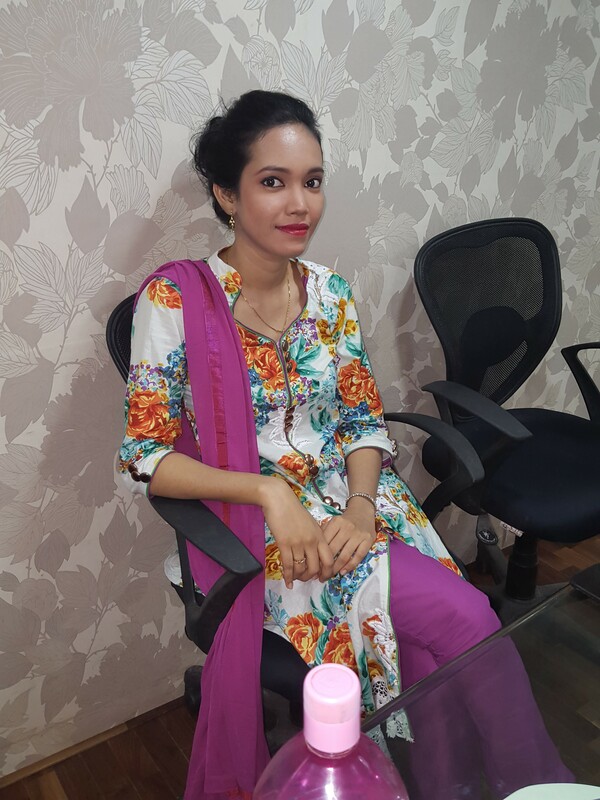 Likewise, his beautiful and charming wife, Mrs. Alyona Kapoor too, is a lively and humble lady. They both compliment each other well. 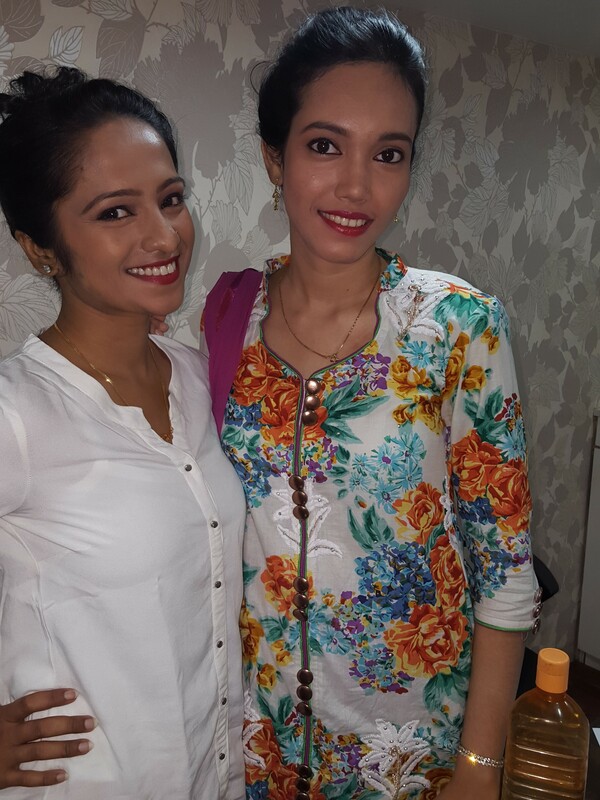 Me & Shrushti before our respective shoot! 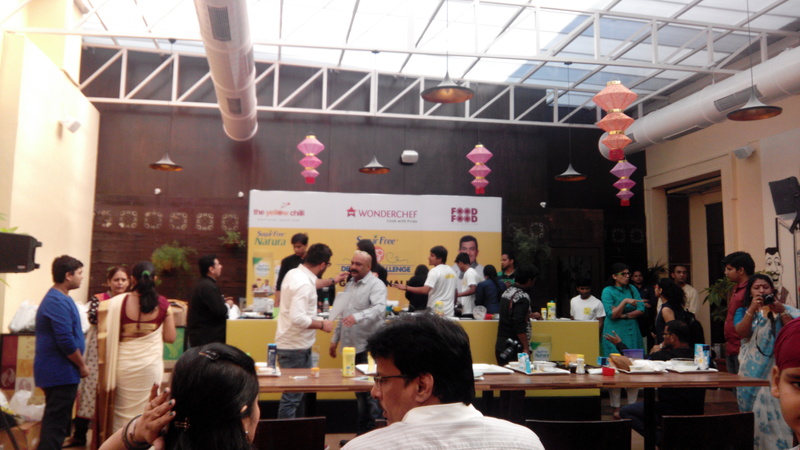 On 15th, the venue was SK’s Restaurant, Yellow Chilli, Powai, which I must say, is a lively and an amazing atmosphere. You’ll love it, indeed! This day, the 12 best cooks from all over India were to recreate our recipes again and the chef would taste them to announce the 3 winners. We all were divided in 4 batches and the entire event was being shot. Indibloggers were scheduled for the last batch and we were damn nervous about the outcome of our desserts. The time came. We performed. The tasting was done. Finally, it was time for Finale results. A Selfie with the Chef! The first prize was won by a Mumbaikar for her dessert- Spinach Mousse, the second prize was a tie between a Bengali girl for her dessert- Custard Apple Rasmalai and a Bangalore Lady for her dessert- Coconut Delight and the third prize was won by a Bangalore Lady for her dessert- Papaya Ladoo. The entire event was fun, memorable and great. I believe I was blessed to be given this opportunity, which was not less than a milestone, as I got to prepare dessert for the most prestigious and celebrated chef in India- Mr. Sanjeev Kapoor. Though I didn’t won the Finale, I feel amazing to even compete with the best professional cooks in India and be among the top 12 in India. I believe I accomplished one big milestone within a short span of blogging and age, and that matters a lot. Indeed the event was a start-like experience for me! WOW, what an amazing experience. You look great and do share the youtube video. That must have been a memorable experience to shoot with THE Sanjeev Kapoor. Pls post the recipe video! Next Next post: The McCainlicious #McCainSnackParty with Karisma Kapoor!